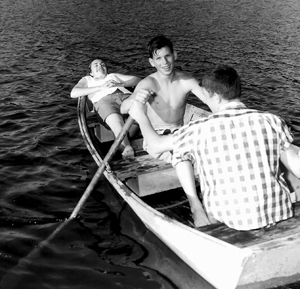 The mission of Clearwater Lodge and Camp Spalding is to provide meaningful Christian programming in an exceptional natural setting where – apart from the daily routine – people of all ages may encounter Jesus Christ and grow deeper in their relationship with Him. Located on 500 wooded, lakeside acres at the foot of the Selkirk Mountain Range in Northeastern Washington, Clearwater Lodge and Camp Spalding offer an outstanding natural environment for Christian summer camps, weekend conferences, and mid-week retreats. 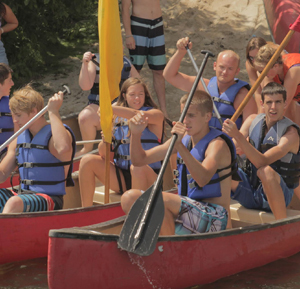 Over the years, thousands of young lives have been eternally changed during summer camp experiences at Camp Spalding. And with the opening of Clearwater Lodge in late 1999, God is at work in the lives of our adult guests throughout the mid-year, as well. And that legacy of outreach and discipleship is having a greater impact today than ever before. Summer camp attendance continues to set new attendance records, and participants in all Christian programs – summer camps, adult conferences, youth retreats – has more than tripled in the past decade. Since it was founded by area Presbyterian churches in 1957, our site has seen numerous physical, program and management improvements over the years. And yet the dream of the ministry’s founders – of a place for people of all ages to hear the Gospel message and grow in their relationship with Jesus Christ – remains the solid foundation upon which we continue to build. God has given Clearwater Lodge and Camp Spalding a wonderful heritage. And with the dramatic growth in attendance, programs and facilities in recent years, we are grateful for God’s guidance and blessing during this truly exciting chapter in the history of our ministry. Camp Spalding and Clearwater Lodge is committed to providing meaningful Christian programming in an exceptional natural environment, where, away from their daily routine, people of all ages may encounter Jesus Christ and experience greater spiritual depth and renewal. Camp Spalding and Clearwater Lodge is a Christian conference center committed to becoming a catalyst for evangelism, renewal, and discipleship in the Inland Northwest.